Daniel Craig has not been in my favorite Bond movies but he is one of the best actors to ever utter the phrase of naming from that series of movies. 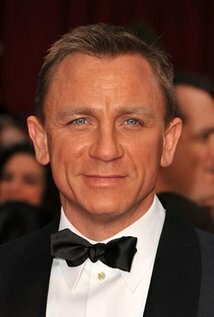 Besides Bond, Craig has managed to keep up his skills by acting in all manner of projects. Here are some favorites. Bond Movies – Casino Royale – Quantum of Solace – Skyfall – Spectre – Not my favs but they are all good movies. The Girl with the Dragon Tattoo – From the book by the same name. Brutal and stunning. Journalist Mikael Blomkvist (Craig) is aided in his search for a woman who has been missing for forty years by Lisbeth Salander, a young computer hacker. The genuine truth, and I do think about this a lot, is that I’m one of the least competitive people you’ll ever meet. Except with myself.